Take the first step. salesforce is how sales are made. It’s knowing your customers like the back of your hand. It’s having a single place to update and track milestones and record all interactions. salesforce is visibility into your business — in real-time. all in the cloud. accessible from anywhere at any time. 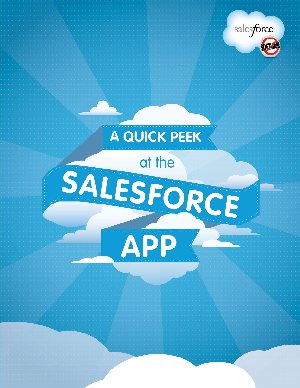 Get a glimpse into how you can use salesforce to benefit your business.